Following the desecration recorded by Emma Baker, the Masonic Temple was built there in 1928. In 1995 the city bought the 3.4 acres of land at the corner of Sachem and Washington streets in Norwich. In 1999 they sold the building and the land on which it was sitting to the Mohegan Tribe. The State determined that the Mohegan Tribe held the earlier historic claim to the area with the presence of the burial grounds. Although the demolition of the temple was a painstaking process, this ensured further disturbance of the ground would not take place. Following the building’s removal, the Tribe constructed a memorial which takes the shape of the Mohegan Tribe’s logo. The central circle made from red stone represents the spiritual force of the universe. 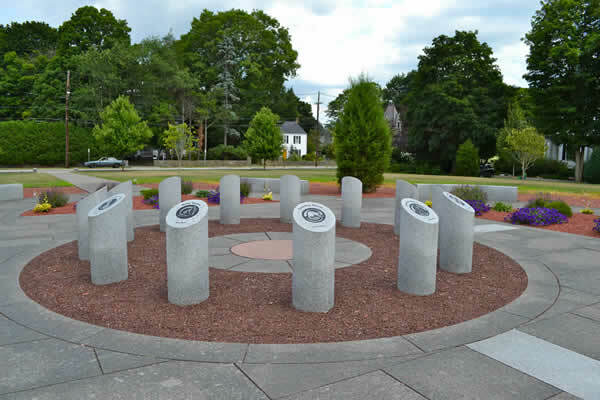 Around the center are 13 granite pillars engraved with the names of the moons or months of the year in Mohegan and English. White granite markers denote the four directions.